Welcome to the Most Outstanding Service Experience EVER! 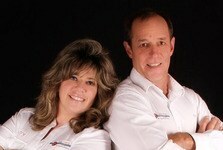 Central Florida's Most Reputable Cleaning Firm in Leesburg, The Villages, Mount Dora and Surrounding Areas since 1994. 100% Safe for your Carpet, Family and Pets. 100% Satisfaction Guarantee. Van's Carpet & Upholstery Cleaning Service is a family-owned business with 26 years of experience in the carpet & upholstery cleaning / water damage restoration industry. With Van's Carpet & Upholstery, we use the latest truck-mounted equipment and 100% non toxic, environmentally safe materials to deep-clean all types of carpets, rugs and upholstery. We provide all levels of services - whether your carpets require steam extraction, absorbent cleaning, shampooing or other treatments. We treat each job with the respect that our customers deserve - We educate our customers about all our cleaning methods and the different methods used in the carpet cleaning industry. We describe how clean your carpet and upholstery will be after using each one of those techniques. If you are not thrilled with the service you experience and receive from us, we will rush back to your location at NO CHARGE and NO OBLIGATION. If you are still unimpressed, we will promptly refund 100% of your investment! Professional IICRC certified technicians and helpful office staff provide you with the best cleaning services, to promote longer life to your carpets, rugs, and upholstery to maintain a more environmentally-friendly home or office. Van's appreciates you visiting our web site and Thank you for considering us for all of your cleaning and water restoration needs. Serving others for a greater purpose! Van’s Carpet Cleaning is pleased to be Florida’s exclusive provider of MicroSeal, the only permanent fabric protector in the world. In addition to being permanent, MicroSeal is an environmentally friendly product for your family, home, and environment. The non-toxic and non-allergenic formula is safe for any home, but it is also biodegradable and environmentally friendly. MicroSeal is waterless, therefore cannot shrink or discolor surfaces. There are no polls currently. Please check back again soon. Van's Carpet and Upholstery Cleaning Service is a Full Service Business. Our goal is to employ a full range of services to meet any clients needs- whether commerical or residential. Carpet Cleaning, Rug Cleaning, Upholstery Cleaning, Tile & Grout Cleaning, Carpet Re-Stretching, Power Stretching, Carpet Repair, Water Damage, Flood Water Extraction and Biohazard Cleaning.